"I don't want to lose her because she is my Strength and my world." Last year during October 2016, we came to know that my mother’s both the kidneys have lost their proper functioning and got damaged. After 1 year of painful Dialysis treatment (Twice a week) we have decided to go for kidney transplant surgery. Before diagnosis, we had our sister’s marriage so it was difficult financial situation when we came to know about this chronic kidney disease. Now I am under debts due to all these medication & sisters marriage. Last month we had done my father’s checkup so that he can give the kidney but after all the tests we came to know about swelling on his bladder. So doctors rejected and gave 3 months tablet course to my dad. Now, hes on that tablet course. After three months we will again check for his fitness and will go for transplant. If he is not fit for transplant, we will wait for donor. 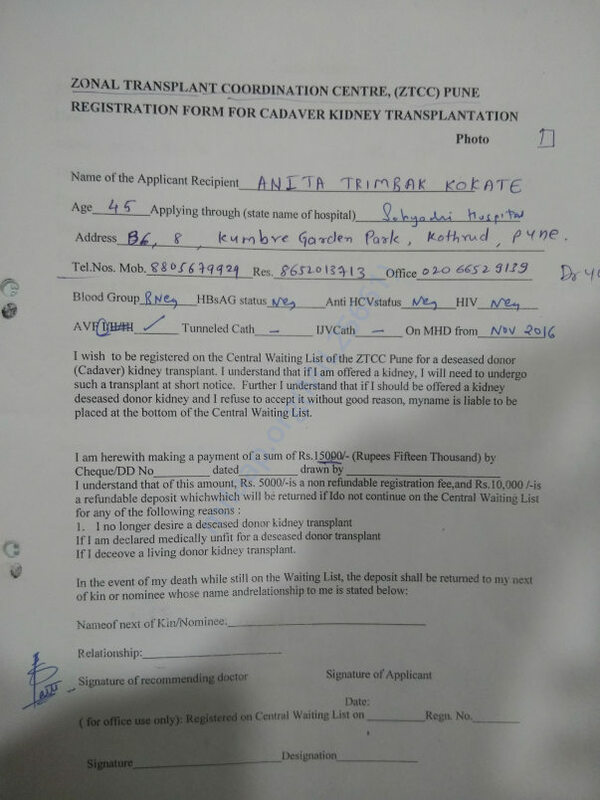 Already we have registered her name in Zonal Transplant Centre Pune. 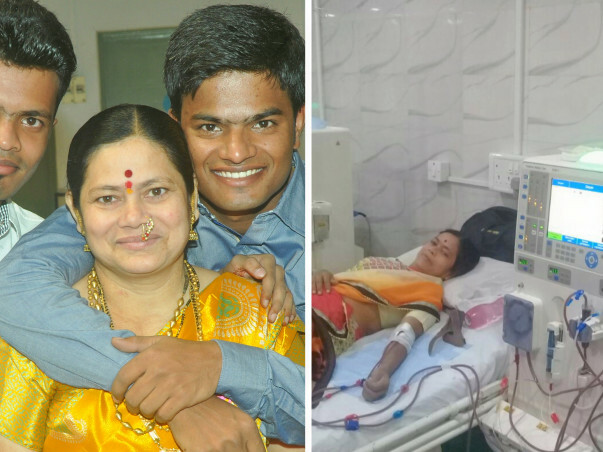 Your small contribution will make difference and also, Please help to find a donor. 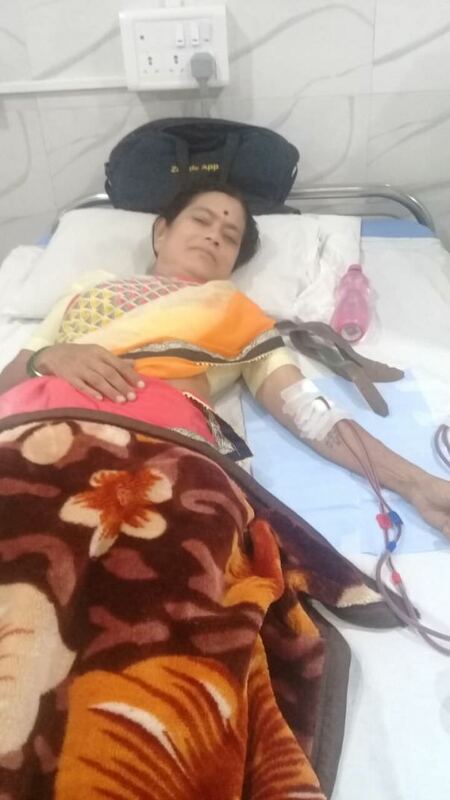 Her treatment is going on in Sahyadri Hospital at Deccan, Pune. Dialysis is twice a week. Doctors gave estimate of 7.5 Lakh for surgery and 4 Lakhs after the surgery for medicines. 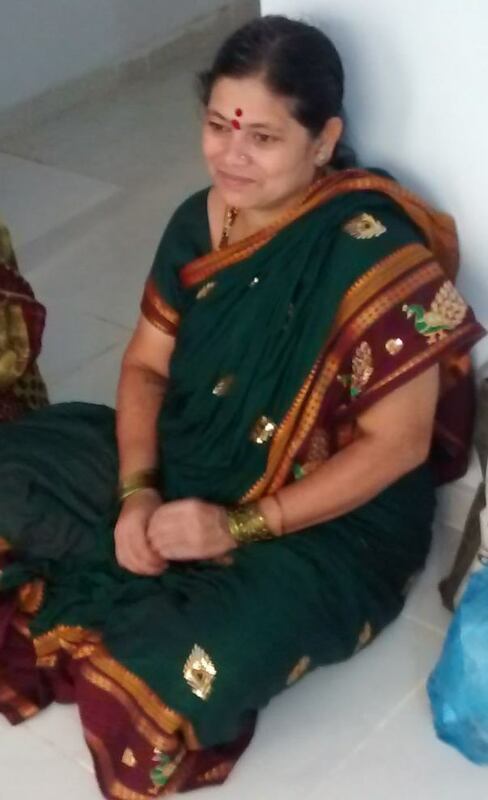 My mother came to home last week from coimbtore after 3 months. shes doing good. Thanks to all of you for making this possible. i want to thank each and every one of you for making this possible. your prayers and financial help gave my mother new birth. I dont have words to say thank to all of you there. 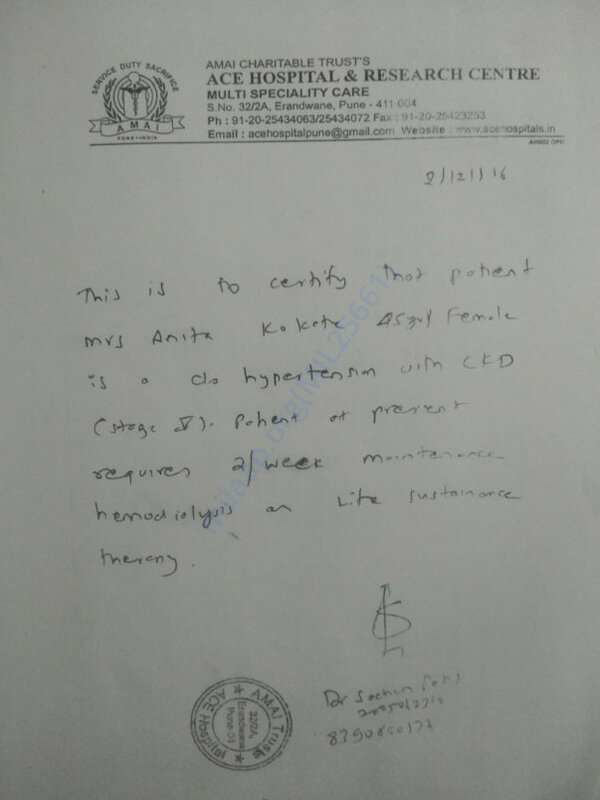 Update on treatment: now after every 3 months we have to do biopsy of kidney for checking its functioning. also shes on medicines for stay away from infections. Thank you for your tremendous support. We couldn't have done this without you. I am happy to share that on 23rd of April transplant surgery happened. Right now patient is in ICU. She's is okay now. Hoping that all reports come normal and she get discharged early. Thank you again. Please keep supporting her and praying for her speedy recovery. We have completed the hospital counseling, by saturday we have to submit around 7 lakhs to hospital. then we will get the date for surgery. we have completed all the test and father is giving the kidney to mother. surgery will happen in KMCH hospital. Dr. Vivek Pathak and Dr. Devdas Madhavan will carry out surgery, in the coming week, we will have surgery. we are now close to out of money also as alternate dialysis cost is 3000 including injection.